Indeed, it was a great weekend for us. After learning in our pre-climb meeting that Cinco Picos traverse can be done in one day and the other half of the trip would be spent at the beach, i felt a real excitement. I was anticipating a very "hayahay" event. (hayahay is a Bisaya term to depict comfort or refreshing mode). I was already hearing the so called Cinco Picos back in 2011 during the early days of my hiking career (yes, career!) I told myself, it must be famous and it sounds cool. Yet I wasn't able to scale it, maybe because my heart was caught by other climb invites and that it is not yet an A-list to my invisible not-so-concrete bucket list. They say it should be climbed during the rainy season. They say Zambales mountains are better be climbed during wet season. You will eventually agree that this can be true. Alright, I ought to say it ----- the mountains are obviously bald, of grassland feature and really encourage a trek that is very direct to too much sun exposure. The itinerary therefore was arranged to start very early to lessen the time spent when the extreme heat of the sun has finally spread. We arrived in Olongapo at around 3am. We started late. 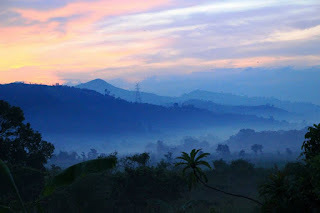 We only began the trek right after the crack of dawn so we have witnessed the sun rising so beautifully from the east at the very jump off point.The first part of the traverse was a real kind of hiking.. a rolling trail surrounded by mountains. 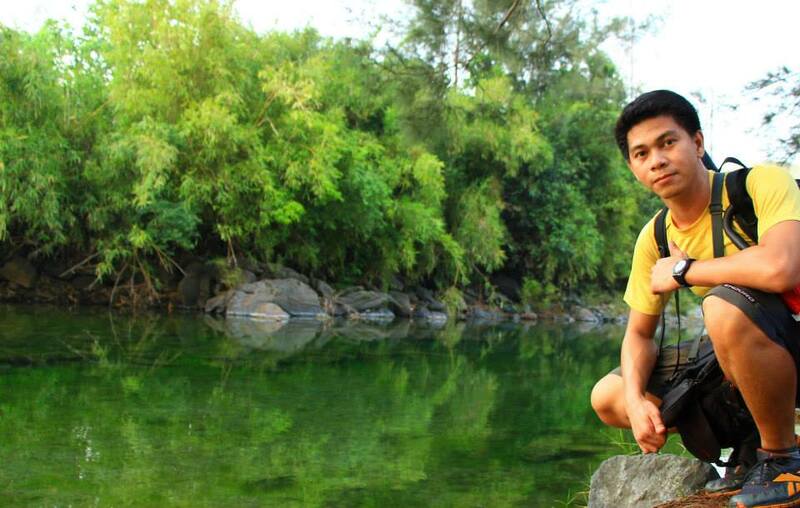 The first ever stop for rest was in Pinaglabanan river. I was amazed by the serenity that the river brings. The place is so relaxing but of course we have to resume and continue the trek. We passed by dry rivers and so we went up and down of their rocks . I believe they were still dry since we are just approaching the rainy season. They still have some evidences of dry and hot summer. The steady hiking continued and it was all tall grasses that we’ve seen. But I was amazed when we finally spotted the sillhouette of the five peaks from afar. These five peaks depict the very name of the mountain – Cinco Picos. It must be the climate change! As early as 6:45am, the sunlight has scattered evenly and it was a kind of really irritating hot feeling to our skin. We stopped by another river where the last water source can be found. Beyond that point were all assaults already. The big challenge: the intense heat of the sun. There came a point that I was pissed off. That kind of tiring feeling but you cannot stop since there are no trees to provide a good shade. It was also dehydrating trekking at such long open trails. I was only getting myself stressed out when I look and imagine Balingkilat next month. How much more difficulty are we going to suffer there with this kind of a sunny trek? I was planning to back out, honestly. 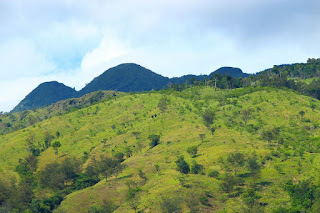 Going on with the trail, on our uppermost right side is the Subic Base while on the other side is all mountains including the mentioned giant Balingkilat. The dark clouds started to form. Half of us reached the first peak and we had an early lunch there. It was getting foggier and foggier then eventually started to rain. It was better and more managebale than such super sunny trek that we had earlier. Although, i found it a little annoying since it was indeed a long heavy rain. See you in July Mt. Balingkilat! We intended to wait for the others at first but since it was getting colder and the rain seemed not stopping, they decided to resume the trek. Yet i was a worrying "Ate" since the last half of the group included my two siblings and two of their friends. Although I was pretty sure they are alright as the tail/sweeper of the group was buddy Dennis, so I believed they were safe. All I had to do was to wait for them at a portion of the descent where there was a huge rock and a shrub which seemed to cover me up. I’ve almost fallen asleep while standing there over a heavy pouring down of heavens. I was facing the side where Silanguin cove can be viewed already. Although we had a one-second glimpse of it on the first part of the descent, i think it could have been a perfect view if such nimbus clouds weren't there. I was praying then to let the rain stop but at the same time thankful because at least it must be easier to do the trek than managing the extreme heat of the sun. The trail is not so technical, it's just of course a little lengthy. Finally, buddy and “my angels” (my siblings and their friends) arrived and we continued the trek passing by some dry rocky river crossings. We had already viewed the beach and we knew we were approaching the seashore yet it’s not what happened. Our restless yet tired feet were further challenged by another series of a long steady trek – grassland, dry rocky river, grassland, dry rocky river, then finally sand.. and behold, our smile almost reached our ears upon seeing the shores only to find out that the resort that we’ve reserved was another one or two kilometers to trek in order to finally arrive. 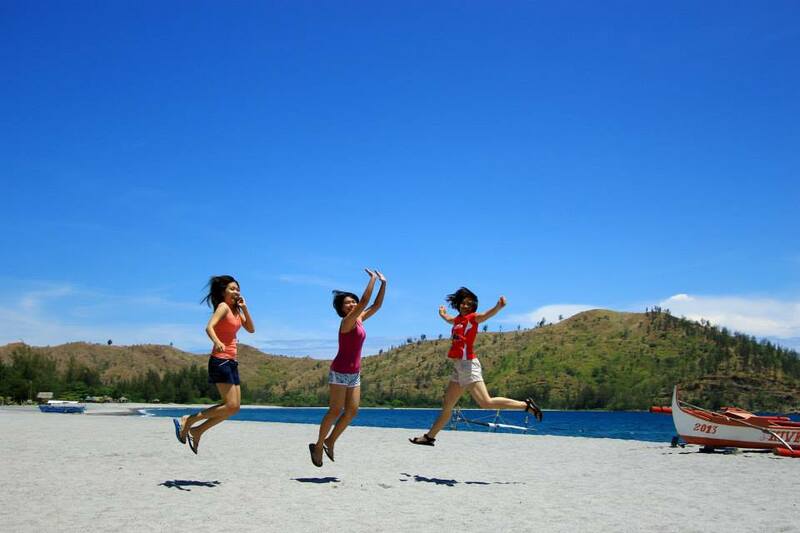 So here we are and finally arrived at our destination after the traverse, Silanguin Cove, Yeah! There were some raining moments from time to time but as we could observe the angry dark clouds just stayed at the peaks of the mountains. 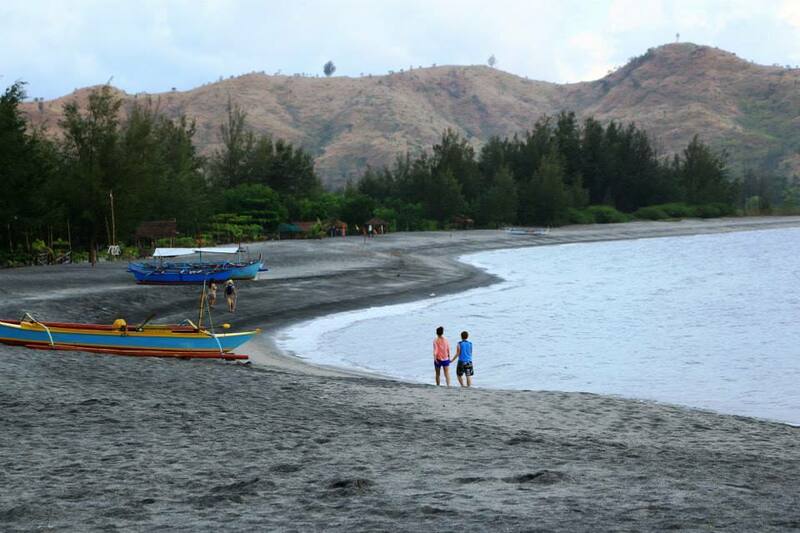 I like Silanguin Cove better than Nagsasa. Maybe it's because it's not like the former that is overcrowded. Silanguin Cove is more serene for me although it is an additonal 1-hour boat ride from and to Brgy. Pundaquit. 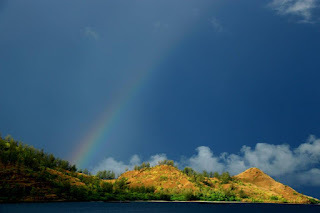 i wanna sing.. "there's a rainbow ALWAYS after the rain!" 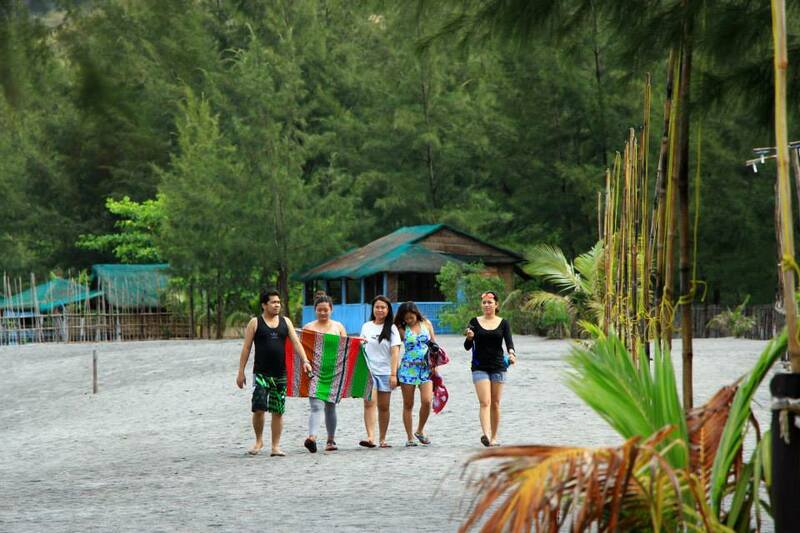 Swimming, laughing, diving, eating fresh seafood, picture taking--- all the good things that beach life can offer. By the way, we were able to add more yummy food to our table by asking the caretaker of the resort to cook some fresh fish for us. I must also commend the kindness of the local guides to us. They had been reliable and dependable companions throughout the memorable traverse. I would like to share with you the lake they've found even if I wasn't able to see it personally. Here's what I've grabbed. Thank you peeps for making this a wonderful and fun trip! Now looking forward to the last leg of of this series: Mt. Balingkilat Dayhike. I am really hoping for a favorable weather and that the event shall push through. And here you go! A lot of beachineering and trekking activities can be done and found in one of the gems of Central Luzon!!! 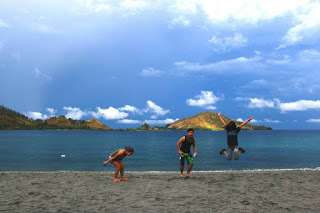 – Zambales. 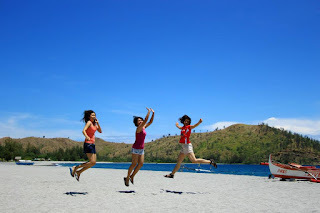 ^_^ The eastern part of this province that is 60% composed of mountain range along with various coves and inlets are widely visited by many especially during summer, . 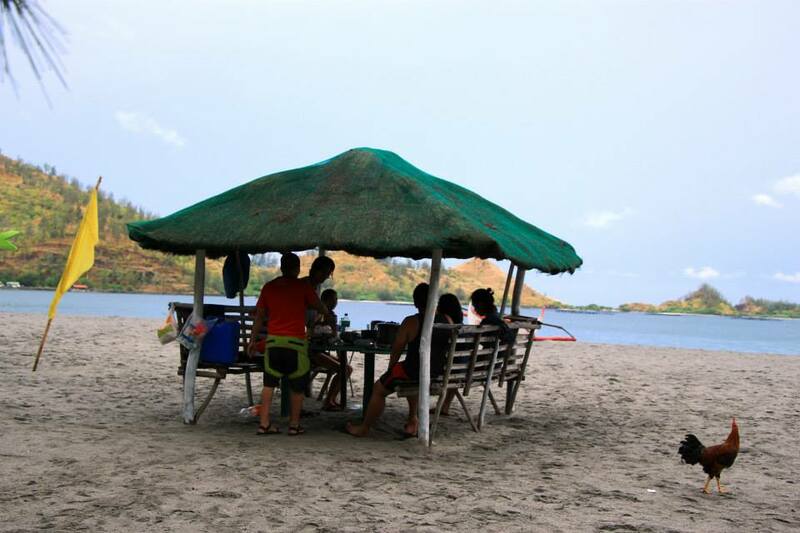 Have you heard about Pundaquit in Zambales? 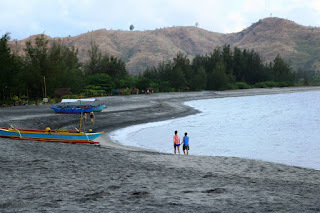 This barangay in the town of San Antonio is either the entry point or exit to various hiking and beach activities in Zambales. I’ll tell you more about it. San Antonio is a town that is a very home to many beautiful beaches such as Anawangin, Nagsasa, Talisayin, Silanguin and Capones. And true enough, these beaches are” a-must-experienced” ones. The sand is a mixture of both sand and ashes and a lot of Agoho trees are scattered all over the cove. Nagsasa Cove is very popular along with Anawangin cove. I heard a lot about them. It became favorite destinations for campers and beach fanatics. They even say it became too commercialized now that it is continuously and increasingly known for its majestic beach and mountain views. Taking the Iba Trip in Victory Liner, we were dropped off at the town of San Antonio. From that point, it’s just one tricycle away going to Brgy Pundaquit. The boat ride from there must be pre-arranged. It takes an hour to arrive at Nagsasa. We passed by the Anawangin Cove (so it’s just 30-min ride from Pundaquit). By the way, upon dropping off in San Antonio, a nearby market is just few steps away and you can do some sort of shopping of all the food and things you need. the sea water, oh so tempting! Here’s a tip: For three reasons, it is advisable to take the earliest bus trip possible. So don't you ever forget to apply sunscreen! It has always been mountains for me. And for a change, we’ve agreed to do this weekend getaway. This event has been planned out as early as January 2013 so I’ve been really anticipating for this. 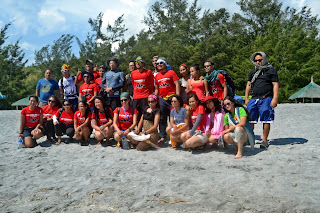 This became a piece of summer for me this 2013: a beachineering get together with my high school friends and climbing buddy, Dennis. It is better to bring all the necessary food and other stuff as it would cost you a lot in the existing sari-sari stores there. They're pricey of course. Other source of income for some roving local Aetas is selling some souvenir stuff such as hammock, key chains, etc. At the end of the day, they allow to have a barter exchange--- your excess food (unopened canned goods, etc) in exchange of their "for sale items"
According to a local there, (the one who took us there with his boat), prior to the eruption of Mt. 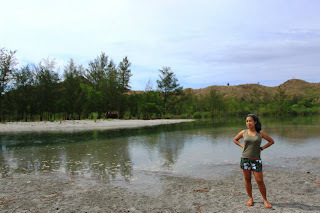 Pinatubo, such area in Nagsasa used to be 4 meter-deep that he used to dive in.